SIA+ (Security Intelligence Audit) is designed to establish your business IT security, where your key vulnerabilities lie and what poses the biggest challenges to your business-critical processes. Understanding the need for security and legislation, the SIA+ approach will highlight your key threat vectors whilst applying knowledge around legislation and regulations, ensuring that your business remains both compliant and safe. SIA+ will also help form part of your GDPR journey. Did you know that the SIA+ product can also help form part of your GDPR journey? How much will SIA+ cost? How will SIA+ help my business? Innovation remains a key driver for business success, as businesses embrace technology to help them streamline their operations, boost internal processes and become more agile, increasing their service offering. Technology has been the great enabler for many, changing the way in which businesses and employees operate. With the advent of super-fast broadband, social media and the cloud, the nature of technology has fundamentally changed, as has our approach when applying it to our business. 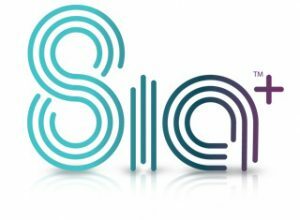 SIA+ provides a transparent security offering at a fixed price point. The SIA+ package is competitively priced at £1,950.00 +VAT and carries no hidden costs. SIA+ (Security Intelligence Audit) is designed to establish your business IT security, where your key vulnerabilities lie and what poses the biggest challenges to your business-critical processes. Understanding the need for security and legislation, the SIA+ approach will highlight your key threat vectors whilst applying knowledge around legislation and regulations, ensuring that your business remains both compliant and safe. The Security Intelligence Audit will allow you to better understand your businesses data processes, employed technology and where your core vulnerabilities lie, regarding both IT security and Governance legislation. Utilising a myriad of security lessons and best practices, SIA+ employs a multi-phase approach, working with your management team to understand your systems, benchmarked against government backed Cyber Security certifications and International Information Security Standards. Using the information garnered from the audit, a vulnerability scan will be conducted, identifying the most likely points of entry and measuring the robustness of your systems in its ability to secure data and prevent a cyber-enabled attack. SIA+ will then provide expert onsite consultancy in the form of an ISACA certified consultant, who will explain where your security weaknesses lie and what can be done to best remedy them. Find out what the GDPR is and how it may affect your business from May 2018. 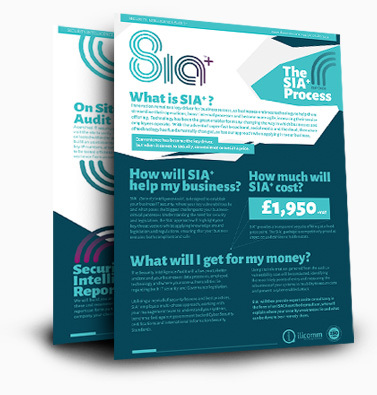 The SIA+ journey takes your business through 5 key stages, starting with a questionnaire. Use the slider below to see more information about each stage. Blending together the government led Cyber Essentials scheme, ISO27001 Information Security standard and the experience garnered through thirty years of industry best practice, this self-assessed questionnaire to be completed by the relevant members of staff will help identify data flow, security protocol and your company policies pertaining to security. A certified IT security professional will visit the site to verify the information collected during the audit. They will build an asset inventory and record key IP numbers, allowing the network to be tested offsite to check its resilience from an external attack. Using the information gathered on site and utilising best of breed software, experienced information security personnel will probe your network and devices, conducting scans to highlight weaknesses within your IT infrastructure, possible attack vectors and methods of entry. The approach to information security must make commercial sense. We apply a pragmatic and holistic view to Information Security, providing expert consultancy to talk through the results of our findings and alerting you to where the biggest threats to your business exist. We will build you an in-depth report, which will highlight your key vulnerabilities, steps that can be made to remedy these and recommendations, both from a process perspective and through the employment of new technology. This report can form part of your technology roadmap, helping create a more robust and safe working practice for your company, your clients and your employees. SIA+ will not only establish your business IT security, it will help form part of your GDPR journey. Find out the next steps to take to start your GDPR Journey.